Have you heard the news about who plans to star in a proposed new HBO movie about the life (and crimes) of convicted ponzi scheme king Bernie Madoff? The answer is...Robert De Niro. 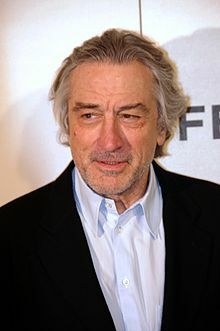 According to various news reports, De Niro, the Academy-award winning actor from Raging Bull, (and star of one of my favorite gangster movies, Goodfellas), will both produce and star in the new HBO movie. You don't have to be a former federal prosecutor, (and currently an Augusta, Georgia criminal defense lawyer), to look forward to this movie! What do you think? I love De Niro - will watch for this one! You lookin' at me?! LOl he'll be perfect for the role. Thank you for joining the hop this week Big Hugs and have a happy weekend!